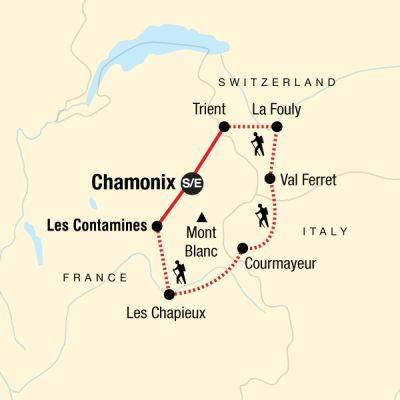 Experience the rarified air of Europe as you trek the Alps from France to Italy and Switzerland along the Tour du Mont Blanc. 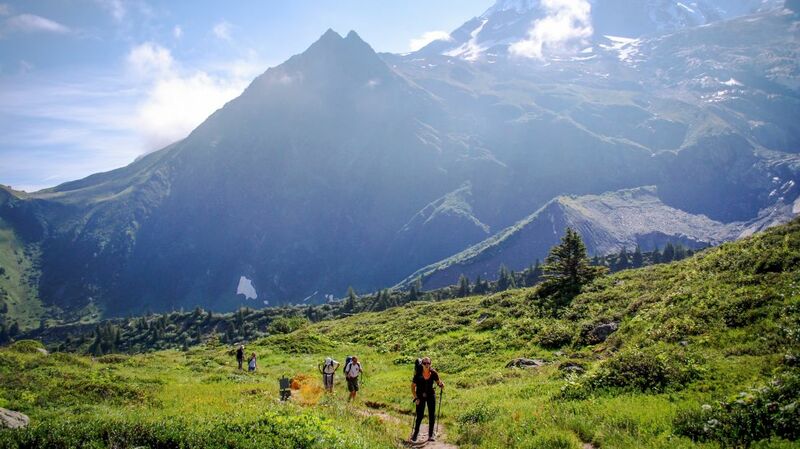 This challenging hiking circuit will reward you with mesmerizing views of glaciers, steep valleys, and, of course, Mont Blanc itself. Travel across high passes and through Alpine meadows, recharging at night with delicious mountain cuisine in simple refuges. Challenge yourself to conquer one of the world's premiere hiking routes, uncovering the alpine heart of Europe on this incredible active adventure. Today we have a scheduled rest day to put up our weary feet or take the opportunity to enjoy the lovely town of Courmayeur and La Saxe. Enjoy an optional dinner with the group and our leader to taste some of the Italian Alpine specialities offered in Courmayeur's many atmospheric restaurants.